I know, it's been awhile. My sister lost her battle with cancer and it was heartbreaking. Today I decided that it was time to create something and it felt good. I found this crazy bird in my stash all stamped, cut and colored. He already had the balloon string under his wing, you see where this is going? Ok so I grabbed a piece of vellum to make the balloon and then colored it with a distress marker. Next I cut a piece of mixed media cardstock and used the typo layering stencil, along with a colorful assortment of distress inks, to spell out happy. Spritzed on a little antique linen and adhered everything to an A2 card. 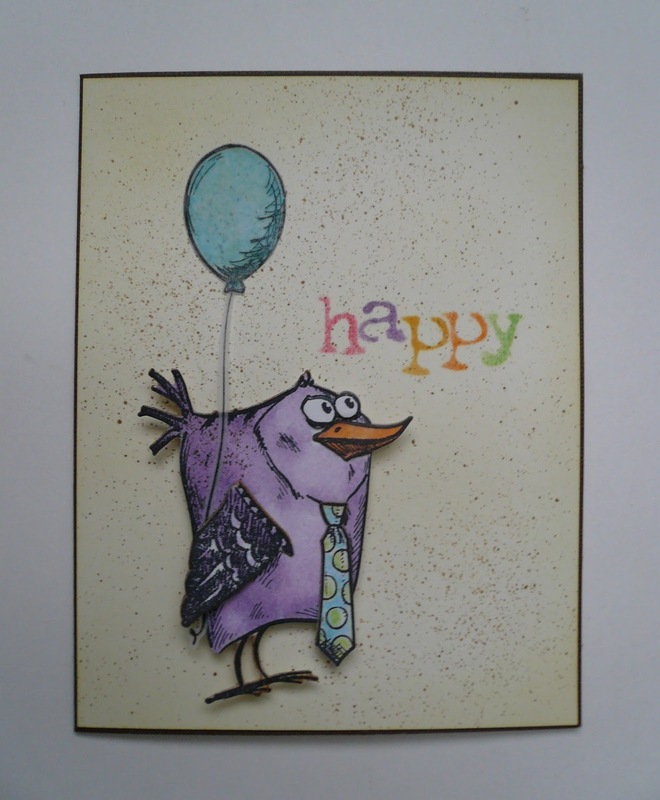 I'm entering this happy birdie card over at the Simon Says Stamp Monday Challenge Blog. They have a new challenge every Monday, this weeks theme is We Can See Clearly. Love your coloring on this crazy bird!